Never afraid to shed the pretense of academic poetry, never shy of letting the power of an image lie in unadorned language, Oliver is a skilled guide to the rarest and most exquisite insights of the natural world. “After a few hours in her quiet, exuberant presence,” writes Los Angeles Times columnist Susan Salter Reynolds, “one feels as though the raw sunlight in the room, the brightness of the water, the white wood and flashing wings outside the window are bleaching unimportant details from the day.” From one of America’s most loved and respected poets, this new volume plumbs the evidence of our most profound mysteries. 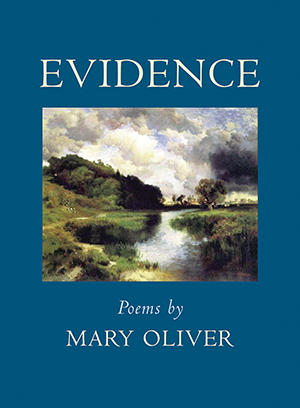 “Oliver has been publishing poetry collections since 1963, and her latest is gloriously alive, inquisitive, and welcoming."